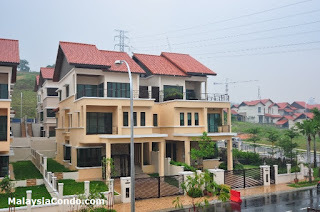 Kiara View is a freehold residential property located at Mont Kiara. Developed by Seni Nusantara, Kiaraview consists of 2 and 3-storey semi-detached house. Built-up Area : 3,833 sq.ft. - 5,444 sq.ft.